I agree, we always get the best tips from locals (and fellow RVer’s, of course!). Inks Lake looks like a wonderful place to stay, with lots of interesting things to do in the area. We’ll put it on our list for our next journey through Texas. Laurel, we loved Inks Lake. 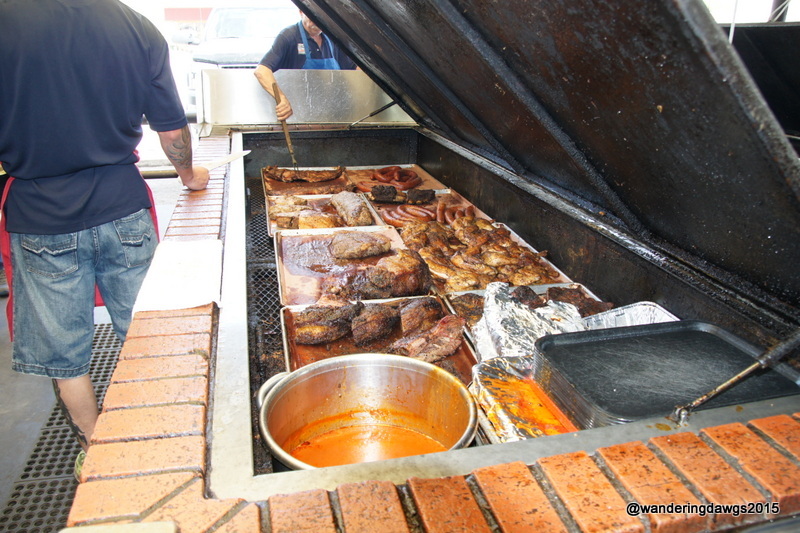 It is very popular and usually fills up on the weekends, especially during bluebonnet season. 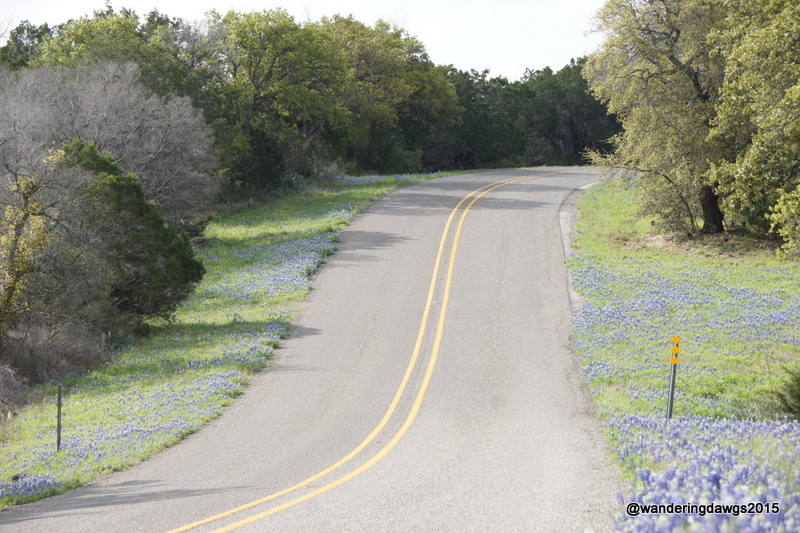 A beautiful scenery, the bluebonnets are lovely! Really interesting shapes in the cavern, and bats! What was the caverns originally used for? Prehistoric people once used the caverns for shelter. There are also stories that outlaws in the old west used the cave as a hideout. Another post leaving me hungry. 🙂 Loved the fence with the boots. Texas is such a big state and we have explored a lot of it, but I see there is still much more to see. Sherry, there is so much more of the Hill Country that we didn’t see. You would really enjoy the wildflowers. Judy, I still can’t believe we timed it right to see so many wildflowers! It looks beautiful there. I’m so happy you finally got some nice weather. It was beautiful everywhere we went in the hill country. And we actually had some beautiful, sunny days! Wonderful pictures! We did a little hike in the park but obviously we have to get there to camp a few days. It’s a great place to camp if you don’t mind going without sewer for a few days. I’ve taken my Scout troop camping at Ink’s Lake! Sound’s like they’ve added facilities since the 90’S.